It’s an odd feature of my experience of postnatal depression: I find reading modern literature, which is usually my staple, too hard, most of the time. It’s mostly because of the unflinching subject matter. I love Kate Atkinson’s writing, and thought last week – after three months of re-reading Patrick O’Brian’s marvellous Master and Commander series – that I could tackle her newish Life After Life. It’s structured around the many restarts of Ursula’s life. Chapter after chapter, she dies, gets another birth (as the same person) and things go minutely differently. Atkinson is particularly gifted at plot. Her Jackson Brodie books are masterclasses in how to weave disparate stories together to the immense satisfaction of the reader (and probably the writer). This regular rebooting of Ursula’s life is a brilliant plot device, deftly handled, and it makes for a multi-layered meditation on twentieth century life, particularly World War II. But Ursula keeps dying. (This isn’t a plot spoiler, it’s apparent from the very beginning that this is how the book will go.) It’s true that there is a strand of hope running through the book, that no matter what accident or abuse may end her life, she’s going to rise again. But the reader also has to watch a beloved character die again and again, and by half way through I was oppressed. I continued – it’s an excellent book – but felt pretty battered by the end. Luckily my husband had the inspired idea of moving one of our large bookcases into our bedroom in a house rearrangement last week. 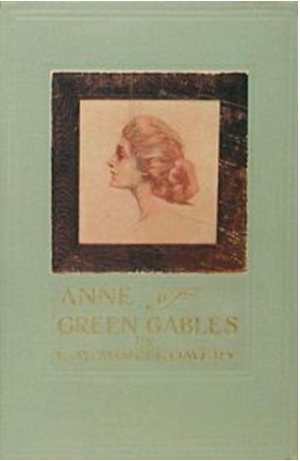 It’s the one with most of my children’s and young adult novels and its arrival inspired me to pick up LM Montgomery’s Canadian classic, Anne of Green Gables. What a joy Anne Shirley is! An orphan who is adopted by mistake (they wanted a boy to help on the farm) by an elderly brother and sister, Anne-with-an-E never stops talking and seldom stops ‘imagining’. She makes friends with every person (and most trees) she comes across and spreads sparkle around the Canadian village of Avonlea. I’ve read the Anne series of books probably ten times through, maybe more. Like all good books, they change as the reader grows, and different things are standing out to me on this reading, even though I know many of the scenes by heart. I know Anne is an enormously popular and enduring character for lots of people, so I thought perhaps I would write as I read and we could chat about reading Anne as adults. Will you join me? None of the dozens of significant characters is perfect, but Matthew Cuthbert is universally loved by readers. It’s Matthew whose early and steadfast attachment to Anne means she can stay at Green Gables, even though she isn’t the useful boy he and Marilla sent for. “Well now, that seems reasonable,” said Matthew. Perhaps this time round I have a lot more awareness of the introverted life. I’m now married to an introvert and postnatal depression has made me one for the last couple of years. I aspire to making a world where people who are so different – an introverted bachelor in his sixties and an eleven-year-old talkative orphan – can get along as well as Matthew and Anne do. I felt really sad when I read that sentence about how the well-bred girls of Avonlea normally treated Matthew. May we help our children to be more like Anne than them, eh? I think this time round was also the first time I noticed how nice it is that it’s ok, in the world of these novels, for people to be disinclined to marry. In fact the majority of the older generation characters throughout the series are single. “Well now, no, I dunno’s I ever did,” said Matthew, who had certainly never thought of such a thing in his whole existence. “Well now, I dunno but what I would,” said Matthew, who never ate russets but knew Anne’s weakness for them. Matthew is Anne’s staunch, quiet champion. He seldom ‘sticks his oar in’ – his sister Marilla made him agree that she would have sole authority to raise Anne – but when he does, he works miracles for Anne’s blossoming post-orphan life: getting permission for her to attend her first concert; buying her the first pretty dress of her life. I have about twenty post-it notes on my copy right now, of things I want to say here, on re-reading Anne. I’ll leave today’s post devoted to Matthew and mention some other things in the next post. But here’s the opportunity for you to rhapsodise over Anne in the comments. Have you read her as a child but not recently? Or are you a re-reader like me? What did you notice most recently, or how have you noticed your experience changing? Or what are your favourite Anne moments from the first book? This is the first in a series on re-reading Anne. You can find the series list here. You can keep in touch and get daily links and resources by liking the Sacraparental Facebook page (tick ‘Get Notifications’ to see whenever there’s new stuff there). I also have a bunch of niche Pinterest Boards you can check out, and sometimes hang out on Twitter. Re-reading Anne of Green Gables: Dust off your Copies! I avoided Anne while I was growing up, because I was a boy who went to a boys school and it wasn’t what boys read. Seems dumb now. So I first really encountered Anne when I was doing my Ph.D. in physics at about age 22 and eagerly consumed the whole series in about a month. (I think someone had forced me to watch that film with Megan Follows, and I went looking for the books from there). There is something in them about not being able to help being the kind of person that good society says that you aren’t supposed to be that I warmed to a great deal. Thank you for reminding me of them Thalia. Your post made me smile! I think I will find some copies somewhere and read them through again like you. My daughter is 13 and I think it is well past time I introduced her to Anne, as well. p.s. I really like reading your blog. Thanks for taking the time to do it. Greg, that is a great story of Anne reading! And thanks for your kind words! Thanks for reading! Yes – Matthew was a favourite of mine, possibly (slightly) even more so than Anne. I haven’t read the books in years but you’re making me think it’s high time I did! I have actually visited Green Gables and the dirt on the island really is red so it will be fun to re-read with those images in mind.